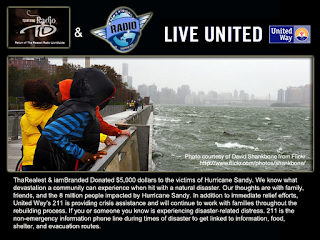 United Way has set up a relief fund. Click Here for more details. all donations will go directly toward immediate and long term efforts. The Red Cross is already on the ground dealing with the recovery effort, and you can also donate to their work as well. Whether its referring Hurricane victims of Sandy to 211, or contributing to the relief efforts, lets lend a hand to help out our East Coast victims in their time of need.